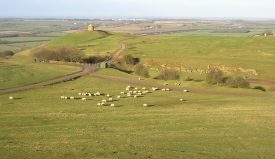 The Burton Dassett Hills Country Park, in southern Warwickshire, consists of a range of picturesque rolling hills that command views over much of southern Warwickshire, above the M40 motorway north-west of Banbury. The country park is best known for its recreational use and historic interest, not least the 12th century All Saints Church, and beacon. However, the hills owe much of their character to an origin during the Jurassic Period. 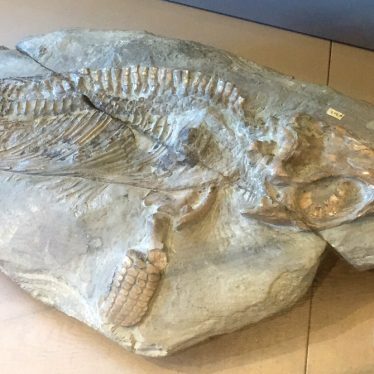 By ‘Jurassic’ we refer to the time interval between about 200 and 140 million years ago, and the rocks and fossils that originated at that time. 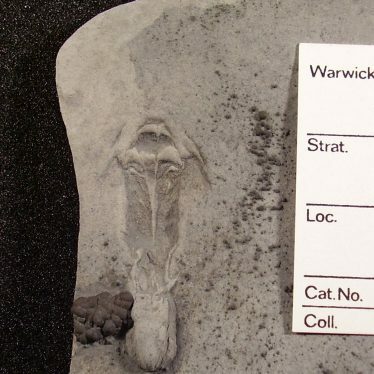 Imagine the scene in what is now southern Warwickshire, one hundred and ninety million years ago. At that time a shallow subtropical sea covered a large area of what is now central England, including southern Warwickshire. 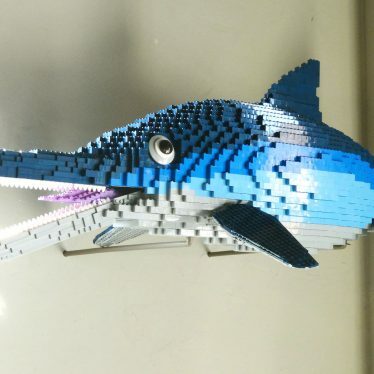 The sea teemed with Jurassic life. Some of the sea-creatures, notably scallop-like clams and sea-urchins, were very similar to those that inhabit the shallow waters of modern coasts. 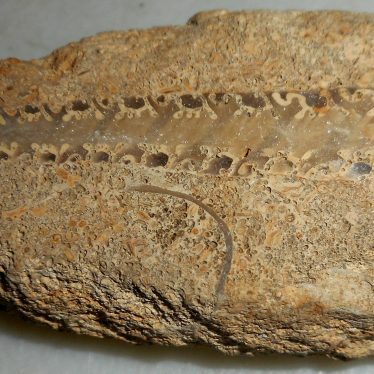 Others, such as the ammonites with their beautifully coiled snail-like shells, or squid-like belemnites would be out of place in a modern sea, having become extinct millions of years ago. Peculiar shellfish known as brachiopods congregated in dense colonies on the Jurassic sea-floor. From our Jurassic seascape, a shoreline might have been visible to the south-east, in the Oxford area. This was a densely wooded island, the rocky stump of which is now buried deeply beneath the home counties. Dinosaurs would have patrolled the shores, and bird-like pterosaurs would have been visible, gliding in the skies above. At that time, the British climate was very different to that of today. Due to the process known to geologists as continental drift, the area that we now know as southern Warwickshire lay closer to the equator, and our Jurassic scene enjoyed subtropical conditions and a warm, humid climate. From time to time, powerful storms broke out over the island. Coastal rivers and streams became rapidly transformed into raging torrents, washing away the red, iron-rich soil of the coastal forests. Following the downpours, the coastal flood-waters would have temporarily turned the Jurassic sea into a reddish-brown soup. 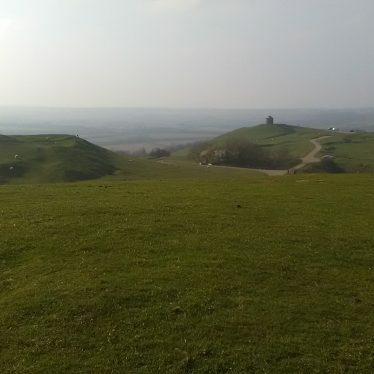 So where is the evidence for this ancient seascape, its animal inhabitants and climate, and where do the Burton Dassett Hills fit into the picture? Well, returning once again to Jurassic times, the layers of iron-rich mud and sand settled out on the seabed and gradually entombed the shells of Jurassic sea creatures. Over hundreds of thousands of years, this sediment built up into thick layers on the seabed. 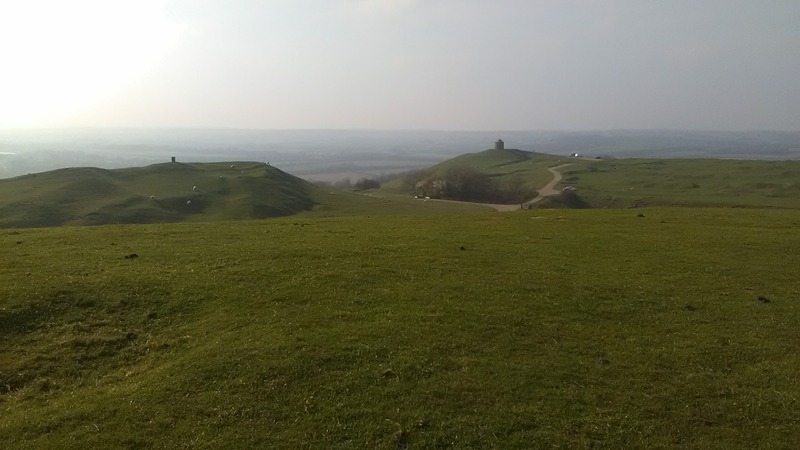 One hundred and ninety million years later, at the present day, these ancient layers have been naturally cemented into rock beds and revealed by natural erosion and quarrying amongst the hilltops and ridges of southern Warwickshire, including the Burton Dassett Hills Country Park. 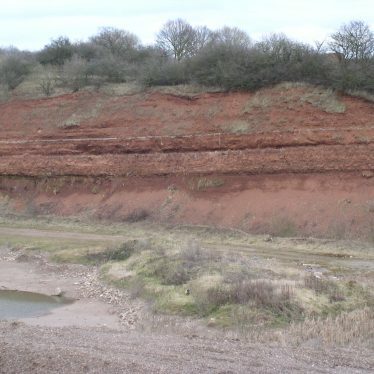 The iron-rich rock of southern Warwickshire is classified by geologists as a type of ‘sedimentary ironstone’. 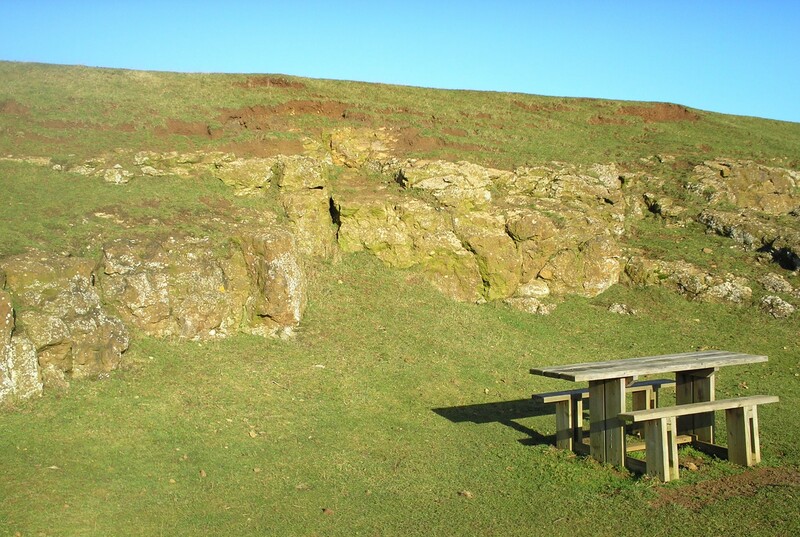 It has been widely quarried for building and ornamental purposes as ‘Hornton Stone’, and as a source of aggregate. 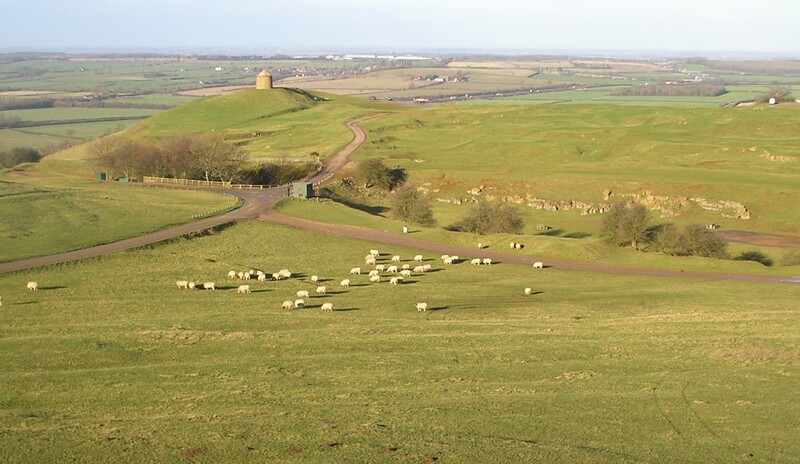 Most recently it was quarried at Edge Hill, just a few kilometres southwest of the Burton Dassett Hills. 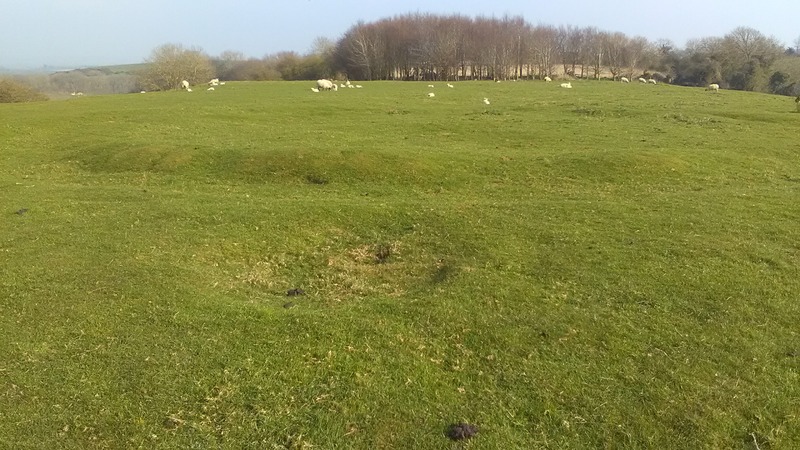 However, the peculiar, hummocky landscape of the country park is partly the legacy of another industry; the quarrying of ironstone as a source of iron ore during the later part of the nineteenth century and just after the first World War. At one time, a steam-powered overhead ropeway ran between the hilltop quarries and a railway goods yard near Northend, transporting the raw iron ore in a system of suspended buckets. Today, parts of the old quarry faces can still be seen throughout the country park, and provide glimpses of the ancient Jurassic world. The ironstone represents naturally cemented sea-floor sand and mud. 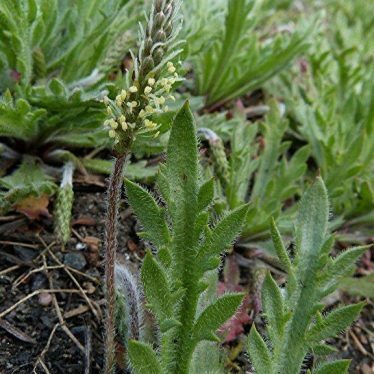 Its rusty appearance can be linked to the erosion of soils during subtropical storms over nearby land, roughly one hundred and ninety million years ago. 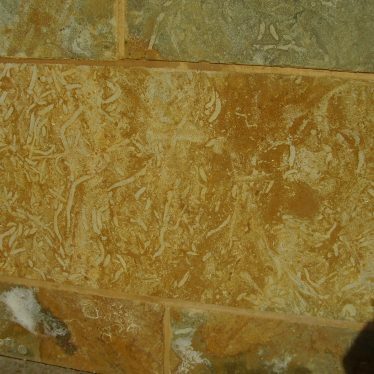 Careful inspection of the weathered rock near the beacon or nearby picnic areas might reveal a small fossil or two – white or silver-coloured shells of oysters, scallops and brachiopods and the peculiar bullet-shaped belemnites – the internal ‘shells’ of extinct Jurassic squid. 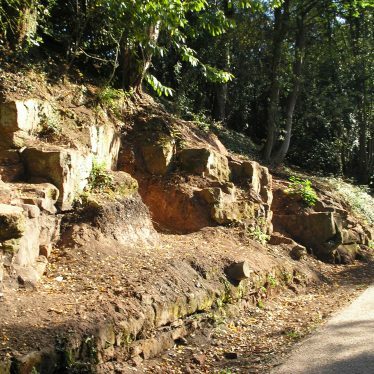 The country park is one of the few areas in Warwickshire where rocky outcrops can be studied easily and safely, and are an important resource for local students. 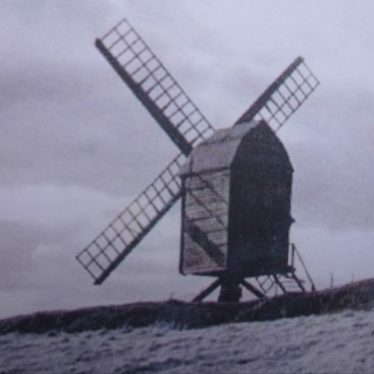 As a young child I moved into Windmill Farm (now The Whitehouse), Burton Dassett in 1958 with my parents and sister. As we got òlder the hills became our playground. 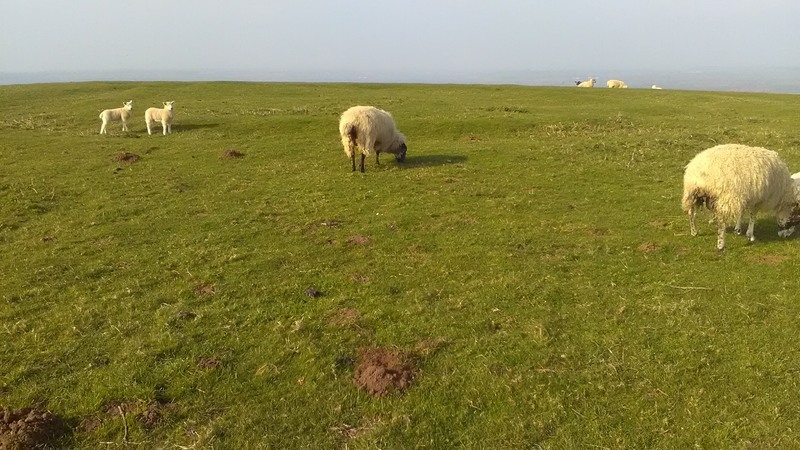 Recently I was looking at the satellite imagery of the area and noticed a clear circular feature on Harts hill. I remember it from childhood, my sister and I used to run round in the ditch, when there were no stinging nettles! I went to re-visit it last month and took a few poor photographs of it (attached). I guess it’s about 40 feet in diameter and is still remarkably clear. The pictures are here, here, here… and here. I was wondering if anyone knows what it was. 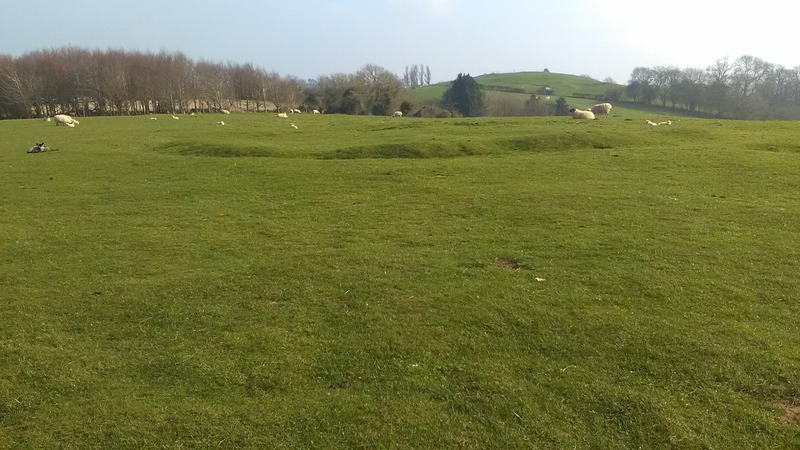 It does not appear to be a quarrying feature like much of the rest of the hills and yet I can find no mention of it everwhere I’ve looked. Looking forward to the mystery being solved, Dave.